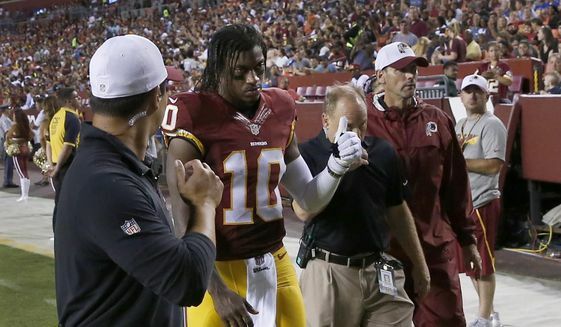 Is the Sun Setting on Robert Griffin’s Career in Washington ? 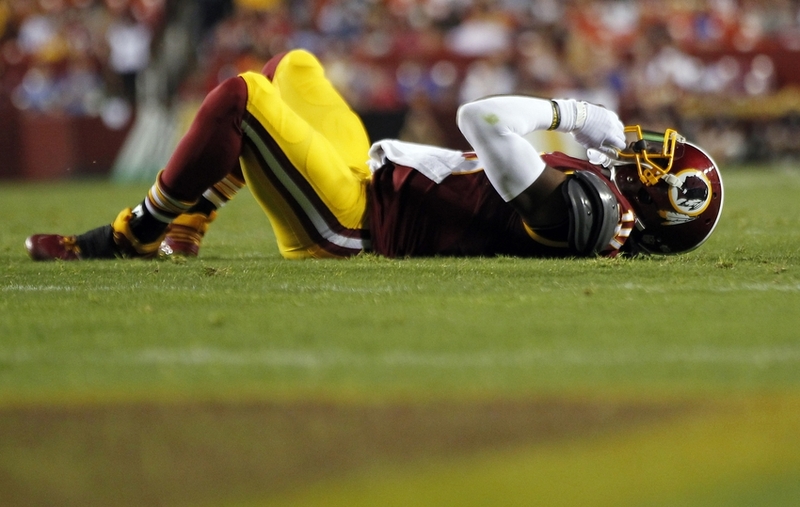 For RG III, his run in Washington could be coming to an end. This wasn’t how it was supposed to be. When the Washington Redskins traded up for Robert Griffin the Third in the 2012 draft, the once proud Washington franchise has their savior. For one season Griffin flashed a rocket arm and blistering speed propelling the Redskins into the playoffs. The Offensive rookie of the year looked poised to become a star in the NFL. My how things have changed. Ever since leaving the field to an injury in the 2013 Wildcard game Griffin’s career has been marred by what could have been as the once promising star is facing the real possibility that his once promising career is going down in flames. It’s been a plethora of issues of Griffin. From his health, relationship with the organization, and players raising major issues in Washington over the past few seasons the divorce between Griffin and Washington seems to be inevitable. After suffering a concussion in the preseason game against the Detroit Lions, Robert Griffin’s health has become a major liability to an organization that has been buried in the NFC East by its more talented counterparts. With a lack of draft picks in recent years, thanks to the Griffin trade, the Redskins have a depleted roster and have constructed a poor offensive line that allowed Griffin to be beat up and eventually knocked out of the game against Detroit. At this point the best thing for both parties is to move on. Griffin has won only five games over the past two seasons for the Redskins, after winning nine his rookie year, and started only 20 games over the past two years. It’s just not working in D.C. and Washington has already fired on coach in Mike Shanahan during the Griffin regime and shouldn’t blow up the organization once again to try to make it “work” with RGIII. Griffin hasn’t exactly made it easy for the Redskins. From spats with teammates to saying “I think I’m the best quarterback in the NFL” just days before the preseason game, Griffin has become a lightning rod and has made himself a bigger target. It’s one thing to be confident and make statements, but you have to back it up. So far, Griffin has not proven since his rookie season that he should be the quarterback and face of the Washington franchise. Not only has the off the field baggage hurt RG3’s chances in Washington, but more importunely his on the field play has. Here’s the ugly truth, Griffin will probably never be the same player he was in his rookie season. His knee has already hindered his once great speed, and he’s already proven that he doesn’t have the body to survive being a running quarterback in this league. Coupled with bad throwing mechanics that Griffin has not refined it’s hard to imagine Griffin becoming an elite pocket passer. Still the major problem with Griffin is health. Like Sam Bradford they have the talent to be great quarterbacks in the NFL, but not the durability. Part of being a successful player in the NFL is having the ability to stay on the field and protect your body. Griffin has not learned how to do that, and until he does it’s hard pressed to see him surviving through a sixteen game schedule. Divorces are ugly and unless Griffin can drastically turn it around and stay healthy for the 2015 season, this will be his last year in the nation’s capital. Previous Michael Vick in Buffalo? Next Randy Moss Wants to Play Again at 38?